Our fellow bloggers too enjoyed the festive season, by sending in their lovely entries. With blessings of Lord Krishna and Ganesha and enthusiasm of our fellow bloggers, this event was a great success. We received 90 Entries from 35 Participants. I thank all of them for participating and celebrating the festivals with fun and zeal with us. The Ganesh & Krishna Logo was also liked many participants. India is the land of varied cultures and traditions, which is evident when you will see this Round up. I had a lovely festive ride by hosting this wonderful event. This event gives us an opportunity to see, how festivals are celebrated in different traditions and cultures. There were delicious and tasty dishes prepared by the fellow bloggers as Naivedyam (Offerings) or Prasad for Lord Krishna and Ganesha. Creativity has no boundaries, besides yummy foodie treat, our fellow bloggers have painted lovely pictures, drawn colourful rangoli, have decorated their temple and have performed authentic pooja on these festive days. And few Brand new bloggers, who has started their journey on this blogosphere by sending entries for this authentic event. I am sure after reading this extensive list, you all are curious to see this creative treasure. So let’s all tighten our seat belts and get ready for a tasty, fun and frolic festive ride with me. Before taking the joy ride, I just want to mention that Lord Krishna has 1000 names known as Vishnu Sahastranam and Lord Ganesha has 108 Names. I have tried to use these different names in this round up. EC has drawn lovely cute Krishna's Feet Rangoli on occasion of Krishna Janmashtami. Check her blog for more Rangoli designs. Here is the sample of one more Creative Rangoli by her, its a transparent Zardosi Rangoli. Divya had painted beautiful Free hand of Gita Updesham, where Lord Krishna is giving vital message of Bhagwad Gita to Arjun. Sukanya, invited Bal Gopal to her humble abode by drawing lovely Maa-Kolam outside her house and tiny feets of Gopal, it shows Lord Krishna entering her house and is present in all her rooms. Ammu, a new member to Blogosphere, started her blogging journey with the Krishnaarpanam to Vishnu Avtar. This is her first post, a divine picture of Makhan Chor. 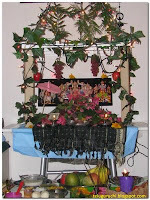 Here bloggers have traditionally decorated their temple and performed pooja for Lord Ganesha and Krishna. Fellow bloggers were kind enough to allow me to use their Pooja pictures for the round up. Sukanya describes how she celebrated Murlidhar's Janmashtami by joining the ISKCON group. The Altar was beautifully decorated. Check her blog to know how the pooja was performed by the priest. 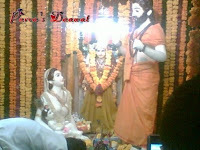 Aparna had performed traditional pooja for the Vighnaharta. This is her pooja picture. Uma had beautifully decorated her pooja place with decorative flowers and lights. Meera had also performed tradional pooja on Ganesh Chaturthi, and here’s the glance of her pooja. 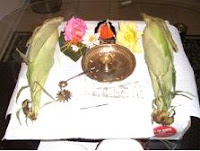 Jaishree had invited Lord Bhupathi by performing pooja and making garland of Durva. Check her blog for significance of Durva in Ganesh Pooja. Purva (That’s me), have some old memories to share, and how Krishna Janmashtami and Ganesh Chaturthi is celebrated at my house. Here is a Picture of Idols made from Pure Ghee at Sanyashashram, temple near my house and picture of Sarvajanik Ganesh Utsav Celebrated last year in my hometown Mumbai. Vani had a special Ganesh Chaturthi, she had bought New Ganesh Idol, and had fun with her sweet nephew. Roma, returned from a trip a day before Ganesh Chaturthi. Inspite of being busy with her daily chores, with the help of her husband, Ganeshji's Sthapna was possible and the festival was celebrated in a grand way. Sudeshna, a true Bong has a craving for sweets. She had prepared Chaler Payesh for Lord Chaturbhuj (Four armed Lord) . 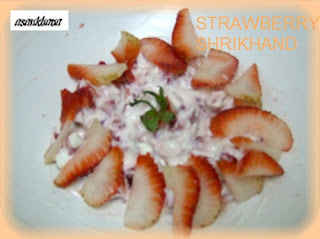 Check her blog where she describes her love for sweets and how she misses her family on Janmashtami. Shillu, had prepared a unique dessert called Junnu, which her mom had shared the preparation process with her. It was interesting to know that Junnu is prepared from cow/buffalo’s lactating milk. Check her blog for more interesting facts about Junnu. Kamala, had made Modakam / Poorana Kozhukattai, Kondaikadalai Sundal and Pattani Sundal for Budhinath (GOD of wisdom). Check her blog for dhal pooranam and Ellu Pooranam for stuffing the Kozhukattai. Nupur made quick, yet tempting Nariyal burfi and Malai Ladoos as offerings for Devakinandan (Son of Devaki). Check her blog where she shares her Janmashtami celebration as a kid and they used to gather and set up Jankis. Priyanka, strikes back with almost Chapan Bhog dishes for Krishna Janmashtami. Here goes the list of delicacies she prepared for Janmashtami Phalahar Vrat, Potato chips with tea, Rabdi, Potato Bhaji with curd, Mathura ka Khurchan, Allo Tikiya, Strawberry Shrikhand and Gulabi Lassi. Phewwwwwwwww Hats off to you girl!! She truly enjoys all the festivities in true spirit. Check her blog for the detailed description on Janmashtami celebrated in various parts of India. 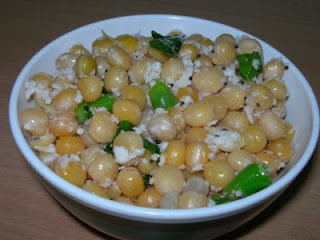 Priti, made really delicious feast for Hrishikesh (Lord of all senses). She enjoyed her day with her little nephew Kedar. She made Bread Dahiwada, Seviyan and Puri with Channa Masala. Inspite of being busy on that day she managed to cook so many goodies for the occasion. There were special dishes for Krishna Jayanti Prasadam. Here goes the exotic list Omampadi or Sev, Appam, Rasam / Sambhar Vadai, Kara Sev, Sabudana Payasam, Quick Rava Ladoo, Choco-Coconut Burfi, Besan-Rava Ladoo, Groundnut Balls, Sugiyan, Medhu Vada, Thattai, Manakombu, Vella Seedhai and Uppu Sheedai Phewww...........Wow! I am sure Gopal just loved your prasadam and even her family. 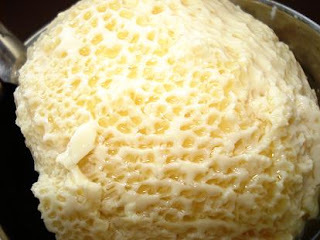 Check her blog for these exotic dishes. Sireesha, prepared authentic Annam Payasam, a traditional South Indian delicacy made on all festive occasions. She had made this prasadam for Makhan Chor. For Lambakarna (Large Ear Lord) Sireesha had Undrallu, Kudumullu and delicious Naivedyam. Sukanya, made these divine Appams, without tasting them, and by chanting Krishna’s name through out the preparation. They tasted the Appams only after offering Naivedyam to the Lord. Check her blog for beautiful description of Krishna Jayanti. She has also sent her all time favourite and lip smacking Gajar ka Halwa, with a filmy touch to it. 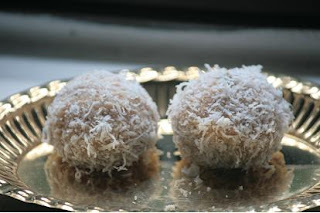 Sowmya cooked Coconut Barfi for Madhava (Knowledge filled GOD) and Modak for Lambodra (the huge bellied Lord). Check out her blog for other delicacies she prepared for Krishna Janmashtami and inspite of being busy with her small kid she managed to prepare Naivedyam for the Lords. Renuka also cooked lovely South Indian delicacies for Vinayaka Chaturthi Neivediyam. She cooked Kozhukatai/Modhagam, Kara Kozhukatai, Rice Payasam and Sundal. She gives detailed description on Vinayaka Chaturthi. 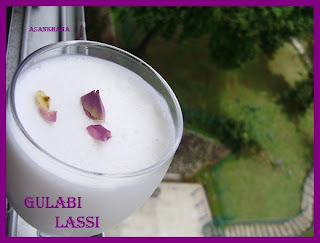 Suma made Pal Payasam for Lord Manohar (Beautiful Lord), as per her its easy dessert and perfect for all festive season. And different version of Modak and Chana Upkari for Lord Pitambara (Lord with yellow body). Check her blog for for these rich dishes. Dershana’s Naivedyam for Rudrapriya (Beloved of Lord Shiva) was Kozhukattai, Easy Sukhiyan and Cute Money Purse Modak. Check out for cute Naivedyam on her blog. Aparna had prepared sizzling Chana Dal Vada and her favourite comfort food Lemon Rice for Vighnaharta. Medhaa had cooked with love for Ekadanta (Lord with one tusk) Modak as Prasad. Uma offerings for Sankat Vimochan were Unique Coconut Patties presented in a lovely Coconut shell along with other endless tempting delicacies. 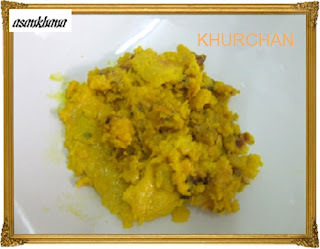 Cham’s Naiveyam for Gajanana (GOD with trunk) was Rava Kozhukattai, which is a better option than Rice flour Kozhukattai. Check her blog for other Naivedyam offered to the Wisdom GOD. Geetha cooked Sweet & Savory Kozhakattai for Lambodara. She describes in her blog, about her adventure last year in Japan celebrating Ganesh Chaturthi. Srimathi sents in her unique and festive related titled dishes. She made Gopal’s Palgova, Kamsa’s Crunch Kanna’s Munch, aka Cheedai and Vella Cheedai (Sweet and Savoury), and To Krishna with Love, Kuchela (Avil Kesari) for Natkhat Kanha. 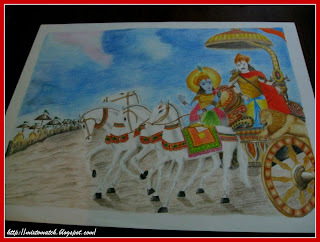 She narrates beautiful stories related to Lord Krishna along with the post. Visit her blog to know more about Kanhya. Srimathi’s Naivedyam for Omkara was Modhakam, along with the explanation of significance of making Modhak for Lord Ganesha. Meera offered Mangalmurti perfect Ukadiche Modak, Garlic bulbs in words of her daughter. 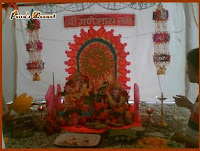 She has also shared with us the pooja performed at her home during Ganesh Chaturthi. She had made Kallya Undo for Bal Krishna and shares the lovely childhood memories of celebrating Krishna Janmashtami at her grand mother’s place. Priya offered unique Ragi Flour Sweet dumplings for Vinayagar Chaturthi, which resembles chocolate toffee. 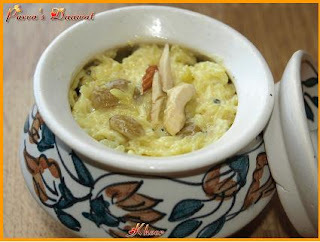 Priya’s Krishna Janmashtami offering was Carrot Almond Sago Kheer. It has really an unique combinations. She has list of different dishes to share with us and worth trying sweet dishes. She has Poha Laddu and Semiya Coconut Milk Kesari to offer as well. 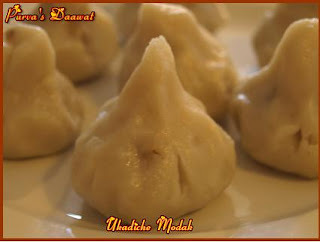 Supriya, one more brand new blogger, started her journey by offering Siddhivinayaka his favourite Ukadiche Modak. 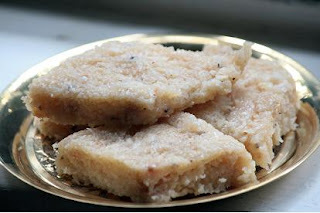 Roma’s Prasad for Govinda was my all time favourite and traditional Panjeeri and Charnamrut. And Modak for Siddhidata (Bestower of Success). 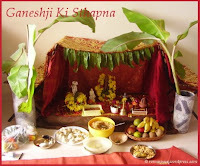 Check her blog for how traditionally Ganesh Sthapna is being done at her place. Jaishree had made delicious and rich Pal Cake (Milk Burfi) for Eshanputra and Vella Appams for the Lord. 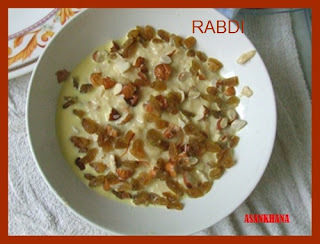 Raji had cooked Rice Pudding for Lord Jagannath (Lord of the Universe). 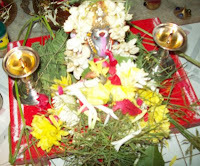 Lakshmi prepared Ekadantanige Modaka, which was presented well in form of Lord Ganesha. She was true it was raining Modak in Blogworld. Lakshmi had also prepared Kaayi Holige and Kadubu. Divya had celebrated Krishna Janmashtami with Boondi Payasam and shares sweet memories of her childhood Janmashtami celebrations and how she had performed pooja in her own way. And here comes Purva, (that’s me), for my Makhan Chor I had prepared Kheer Prasad in a Matka and Ukadiche Modak for Lambor’s Naivedyam. 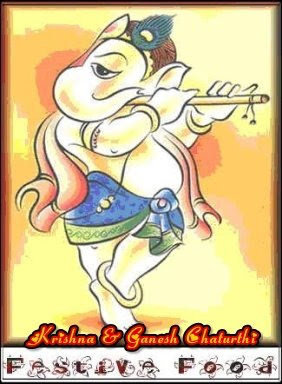 You can check my blog for detailed description on Krishna and Ganesh Chaturthi celebrations. Hmmmmm……Well this is not the last destination, there are more to foodie treat for your eyes to enjoy. 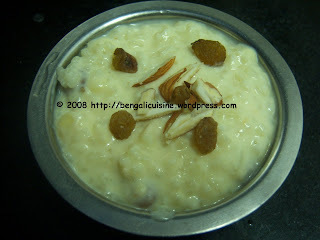 Appu, had enthusiastically sent her Naivedyam for Lord Kapil Besan Ladoos and my all time favourite Sabudana Khichri. Vani’s offerings for Vinayaga Chaturthi Celebration were Kozhukattai (Sweet & Salt) and Uzhunthu Vadai. Check her blog to know her celebration for Chaturthi, were she dressed up her sweet nephew. I hope you all have enjoyed this Festive ride and had celebrated the festivals by forgetting everyday’s stress and tensions, that’s what festivals are for and real motive of Festive Food Event. The Indian calendar is one long procession of festivals. So check Priyanka's Blog for yet another Festive Food Announcement. Thanks Purva... nice round up. I am happy that I was able to contribute in a small way with the drawing. hey purva..this is a wonderful round up...enjoyed all the snaps..good going.. Thanks purva. Nice round up. I was nice to see so many people celebrating together. Nice round-up. So many tasty entries! Great job! Wow, this is a lovely roundup Purva! Ha, so many delicacies and artwork at one place. YOu have done a great job. Thanks for your nice words too. This is like I entered a temple with all those prasadams. The festive spirit has been beautifully captured. Thanks for hosting this event. Purva, wonderful round up , dear. Wonderful and Splendid roundup Purva:))Got to know more about the festival and the prasadams too...Keep rocking gal!! Fantastic round-up Purva.So many tasty entries! mouth watering pics :)Great job! Beautiful round up..enjoyed all the pics, a real feast for our eyes...thanks Purva all ur efforts for this event.. Thanks for hosting this one, Purva. I am sorry not have posted on time - am just doing mine now! Will be here many times to see these lovely recipes! beautiful round up..loved reading your post!! Hi Purva. Wonderful round-up. What a unique way of dedicating each entry to the Lords' different names. Enjoyed contributing my modaks. Great round up Purva.. Thank you very much for including my post and I am really happy to be a part of this wonderful event.. My best wishes.. Keep Going! !